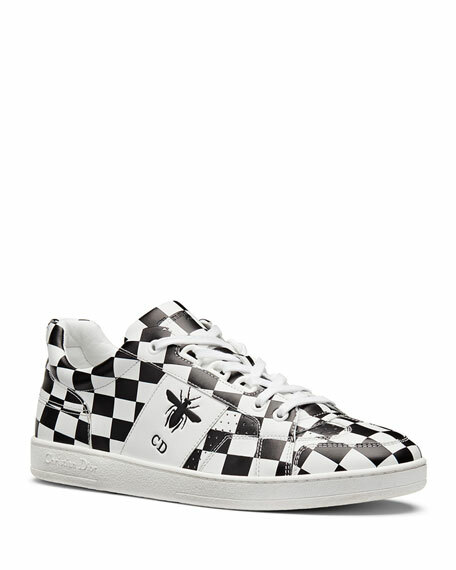 Trainer in black and white printed calfskin leather Bee silkscreen print and CD initials. 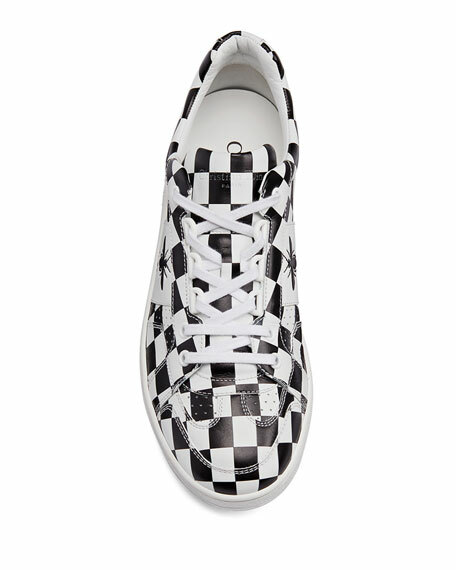 White rubber sole with black star motif, one of Christian Dior's favorite symbols. For in-store inquiries, use sku #2534837.